Discussion in 'the Entertainment Spot' started by ettebe, Jul 13, 2009. Cold Souls is a 2009 comedy film written and directed by Sophie Barthes. The film features Paul Giamatti, Dina Korzun, Emily Watson, and David Strathairn. 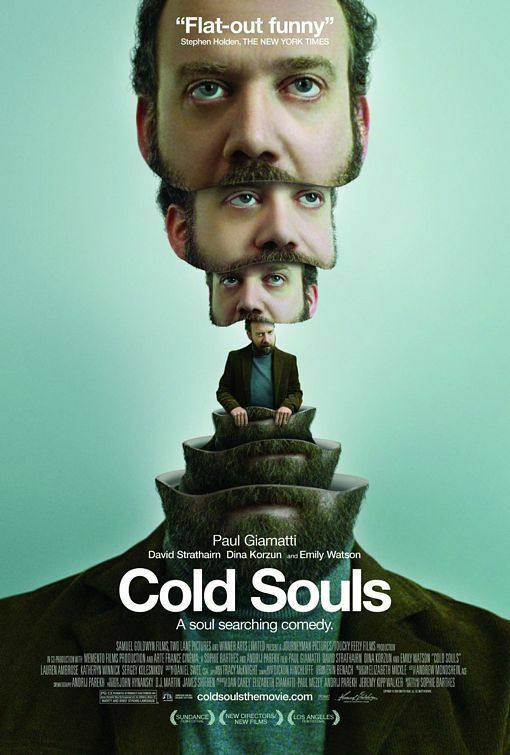 Giamatti stars as a fictionalised version of himself, an anxious, overwhelmed actor who decides to enlist the service of a company to deep freeze his soul. Complications ensue when his soul gets lost in a soul trafficking scheme which has taken his soul to St. Petersburg. The film then follows Giamatti desperately trying to find his soul.